We can’t put a value on human life, so the loss of one person is priceless, really! However, we can very quickly determine the immediate loss-of-life costs surrounding that car accident. 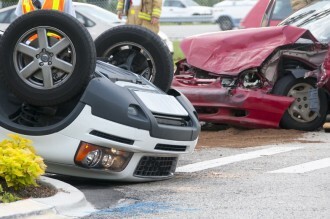 In 2010, car crashes cost nearly $1 trillion due to loss of revenue from work production and medical, according to the National Highway Traffic Safety Administration. Surprisingly, nearly 10 million car accidents go unreported every year. Who Pays the Costs of Vehicle Related-Deaths? For the most part, insured drivers who had nothing to do with car crashes pay about 75 percent of all costs associated with a car accident through their car insurance premiums. In 2013, Colorado reported more than 500 fatalities as a result of car accidents. In 2015, the State of Colorado reported that the costs for medical bills and work loss topped out at $647 million. (According to data from the National Center for Injury Prevention and Control. If you have been injured in a car accident, it’s time to contact a trusted Littleton car accident lawyer at Bahr, Kreidle & Flicker. Since 1983, our attorneys have been fighting on behalf of injured people and aggressively standing up against injustice, inequality and intolerance. Our lawyers know how serious and devastating the impacts of car accident can be, and we know that many injured people depend on settlements to get the medical treatments they need. That’s why we are committed to advocating injured people’s rights while working diligently to help them maximize their financial recoveries.